THOUGH I KNOW ITS NOT A THANKS GIVING DAY RATHER ITS LATE FOR THE YEAR 2009 AND TOO EARLY FOR 2010 BUT I WANT TO START THIS NEW YEAR WITH A THANKS GIVING NOTE TO ALL LOVELY PEOPLE AROUND ME WHO HAVE BEEN ON THEIR TOES THROUGH OUT TO ASSURE THAT EVERYTHING GOES WELL IN MY LIFE. by asking all u special people to continue doing so. as i wont be able to think of a life without my dear ones. thanks.n a very happy new year ! 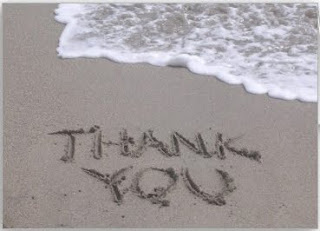 i can no other answer make,but,thanks,and thanks-william shakespeare. इसे यूँ खूबसूरत बनाने के लिए ! after reading it..i'm thinking.. dat even i shud say this little sweet word to those people who r close to me..for their suport, care n love..Thanks. hi..anushree..this is amit...shayad tumko yaad nahi hoga..thoda sa dimag mein jor lagao toh shayad yaad ajaye..happy new year...yaad ajaye toh bhi reply karna aur nahi aye toh poch lena kaun hoon..
hey....r u back from singapore. btw happy new year. i had to read a few blogs before figuring out which one is yours...i really have to say "kon padhta hai blogs"...hehe. contact me at abhikanodia@gmail.com whenever u can. tc. bye. ofcourse i remember u happy new year to u aswell..
hope u guys had fun..thanks for visiting my blog..hope u read it too..
well i appreciate,u took pains to read, by the way happy new year to u as well...well m still here..will surely get back to u..hey before i forget..keep reading..
i appreciate for u taking enough pain to read my blog..but since u r not a regular visitor,its not ur fault to think that ways..i rite for people who know me n know me well..i hope it wont be enough of a favour to ask u to go through the entire blog..to clear ur doubts..but thanks for the appreciation any ways.